Please check your email for an offer from American Express. 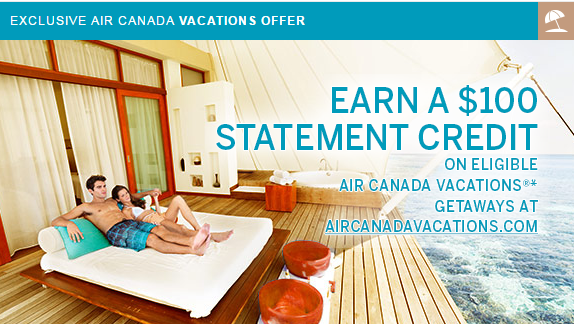 From March 13, 2017 to April 9, 2017, you can register your eligible American Express Card to receive a $100 Statement Credit on eligible aircanadavacations.com purchases of $1,000 or more (after taxes and applicable fees). This i s a targeted offer for those who receives the email from AmEx.